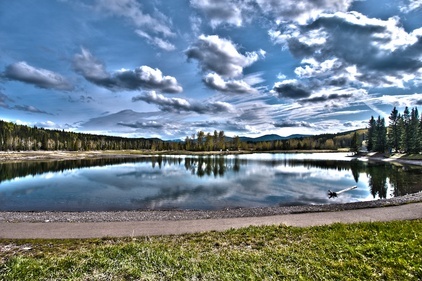 Sibbald lake provides quick and easy access off HWY 1. The lake and pond are both stocked with Rainbow Trout. 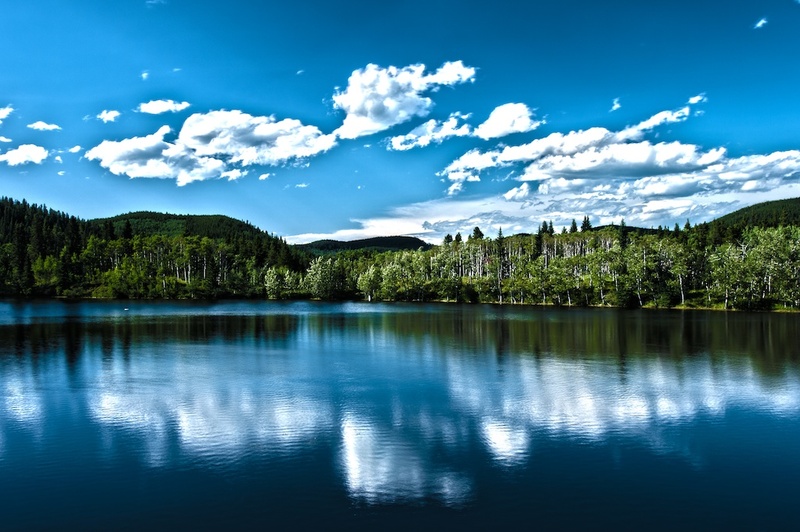 The Sibbald campground surrounds the lake making this a great spot for young families looking to escape the city. For more information on the Campground visit Sibbald Area Sites. To Get Here: From Hwy 1, turn South Down AB68 Sibbald Creek Trail. Drive for 22km until reaching the turn off for Sibbald Lake on the right hand side. Sibbald Lake is in the middle of Sibbald Lake Campground. A great family fishing spot at a scenic fishing pond stocked with trout. A unique history involving a disappearing pond. In 2005 the pond's dam broke and the river ran through this area. In 2009, the dam was repaired and the pond reappeared. Easy access and regular fish stock make this a popular stop. Take a stroll along the cultured paths around the pond and down to the river where you can throw a line into the Elbow River. You'll find bathrooms and picnic spots surrounding the lake. To Get Here: From the 4 way stop on HWY 22 next to Bragg Creek, take HWY 22 south to a T intersection. Turn right (westbound) on HWY 66. Travel 9.7km west down HWY 66 to the entrance of Allen Bill Pond on your left immediately after crossing the Elbow River. An easy access pond stocked with Rainbow Trout. You'll find a number of spots around the lake to cast a line. Across the road is McLean Creek Campground and store. 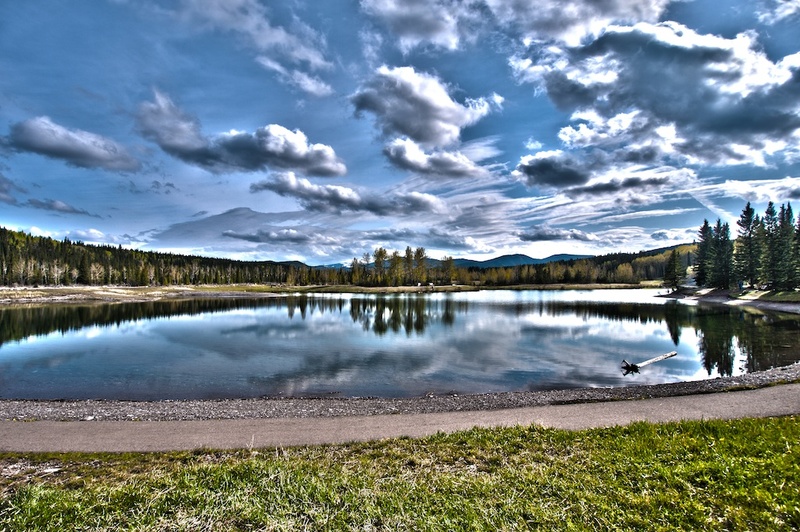 For more info on the Campground visit Bragg Creek Sites. Another great family camping location, especially if you plan on taking advantage of the Off-Highway Vehicle trails. To Get Here: From the 4 way stop next to Bragg Creek on HWY 22, continue south down HWY 22 to a T intersection. Turn right, westbound down HWY 66. Continue down HWY 66 for 8.4km to RR 54a, the turn off for McLean Creek on the left hand side. McLean Pond is 1.4km down this road just past the campground store. A calm contouring river that occasionally turns into a raging river during the spring run off. A great river to spend your evenings fishing. The further west you go, the better the backdrop but unfortunately, the worse the fishing becomes. You can fish the river all the way from the headwaters at Elbow Lake which is easily accessed from HWY 40. 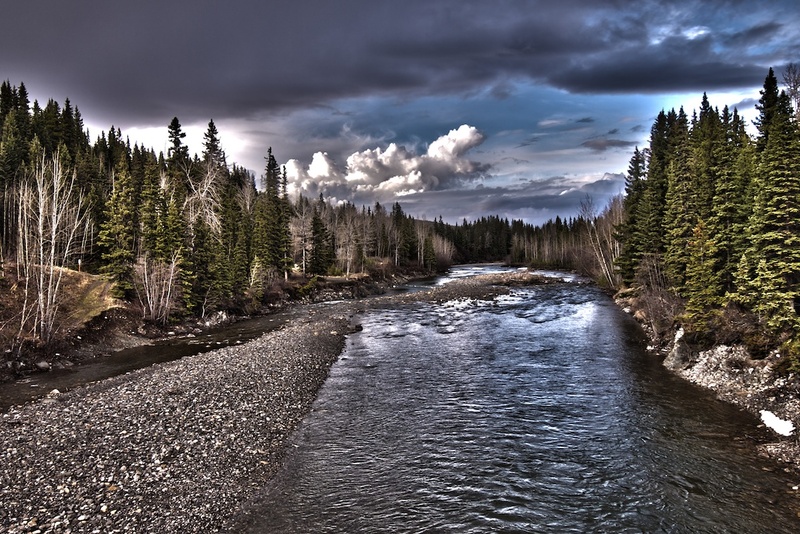 The Elbow River contains Brook, Rainbow, Bull and Cutthroat Trouts, as well as Mountain Whitefish. You'll find numerous campgrounds lining the Elbow River along HWY 66. 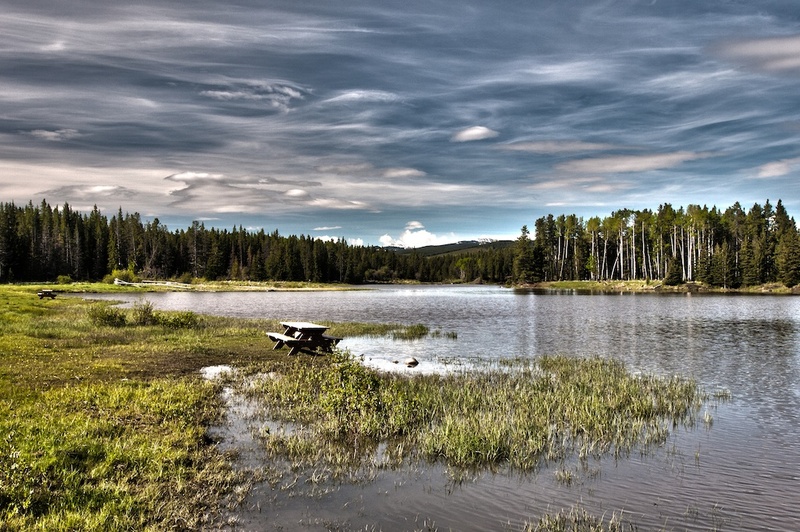 For more information on the campgrounds visit Bragg Creek Sites McLean Creek, Prairie Creek, and Canyon Creek offer limited fishing and can be followed upstream from the Elbow River. To Get Here: From the roundabout at HWY 8 & HWY 22 intersection, follow HWY 22 SW through Bragg Creek and HWY 66 West towards Little Elbow Recreation Area. HWY 22 and HWY 66 run alongside the Elbow River providing plenty of opportunity to find a secret fishing hole. Alternatively from the Roundabout, head North on HWY 22. A few meters north of the roundabout a secondary road parallels HWY 22 on the east side. Follow this North to the bridge. This is a popular fishing area with easy access.